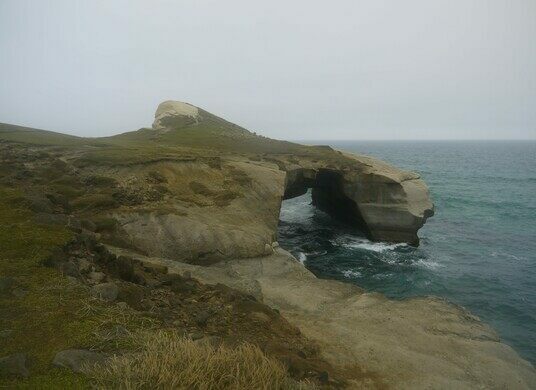 A locality nearly five miles southwest of the Dunedin, New Zealand, Tunnel Beach is famous for the tunnel that leads visitors down to the beach. 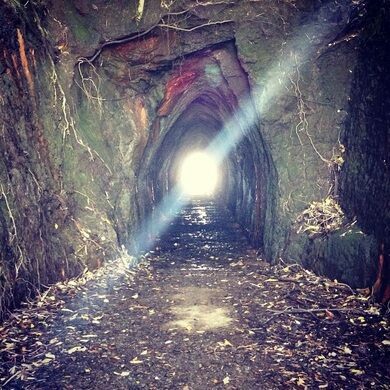 Commissioned by local politician, John Cargill, son of Captain William Cargill, in the 1870s, the tunnel is the primary draw, but not the only draw, of the area, which is also known for the beauty of its rugged sandstone cliffs, rock arches, and caves. To reach the beach today, visitors must trek across private farmland. The path, which was opened in 1983, descends from about 500 feet above sea level and is located just a short distance from Blackhead Road. 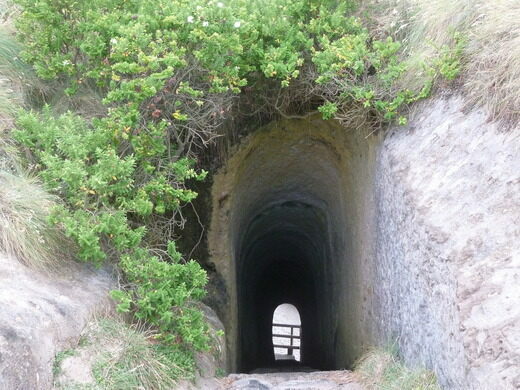 The path winds its way to the top of the tunnel, which then leads guests down 72 steps to the beach. The tunnel is a bit spooky. Naturally lit, the tunnel is quite dark and if you speak at a low enough pitch while inside of it, it resonates loudly from one end to the other. 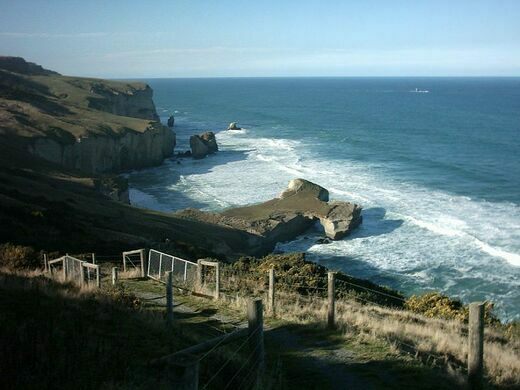 From SH1, South Dunedin, follow the Southern Scenic Route sign to Blackhead Road. Turn on to Green Island Bush Road and stop at the carpark. Follow the fenced track downhill to the spectacular, rocky coastline. At the end of the track a short tunnel with steps leads down to the beach. This track crosses private land. Please respect the landowner’s property and livestock. Free candle-lit art gallery, accompanied by a live piano score. Running since 1864, this clock has yet to be wound, one of the longest-running science experiments known.